Is there a minimum of shirts I have to order? Absolutely not. You can order one single shirt, or 5,000.  There are no limits or restrictions on the quantity of shirts you order. How long does it take to get my order printed? Generally orders take one week from start to finish. Of course every week brings something new, so depending on how busy we are determines the speed in which we can get your order out the door. Rush orders are available, but are subject to a rush fee. For more information on rush orders come by the shop and speak with us, or give us a call at 936.295.3043. Will you print my shirt without me approving the art? Absolutely not. We will never print your order without you first approving the art. All proofs are sent through e-mail, and we do our best to give you the closest representation of the final printed product. Please keep in mind that color setting vary widely from screen to screen. What appears purple to you, could actually be blue on our monitors, so if give us a call if you’re concerned about a color. Also, colors don’t transfer 100% from screen to print. If you have any concerns, give us a call and we’ll set up a time to show you the actually finished colors in person. How much does it cost to have a shirt printed? Unfortunately, there’s no way to determine this without specific details about your order. 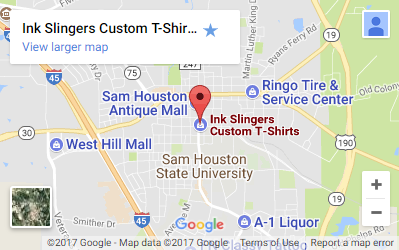 Pricing is based on the quantity of shirts ordered, the placement(s) of the print, and the number of colors you would like. Please note that specialty inks, foil prints, transfers, Pantone color matching, and over-sized prints are subject to additional costs. What sizes do your shirts come in? * Please note that not all colors are available in every size. Please give us a call to ensure availability. What happens if I need to reorder some shirts? You can re-order shirts anytime. To ensure the same price as your original order, you must order at least 10 shirts. Due to the cost of materials & man power, we cannot take any reorders less than 10 shirts without adjusting the price. We also accept cash, check or money order. * No starter checks accepted. We also reserve the right to refuse any form of payment if we believe that payment method to be suspicious.